I was in Semporna from April 14 to 16 coz of the Regatta Lepa. 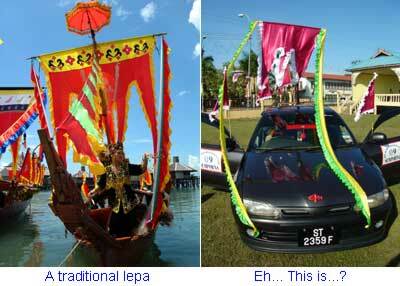 “Lepa” means “boat” in the dialect of east coast Bajau. Semporna’s Regatta Lepa is one of the most popular and colourful annual tourism events. All the hotels there were fully booked and I saw more foreigner tourists than any other events. The territory of Bajau people is not only limited to the land, as we see in Kota Belud’s Tamu Besar. The Bajau at east coast, someone calls them Sea Bajau or Suluk, is good at sailing too. I consider Bajau got the most colourful culture in Sabah. 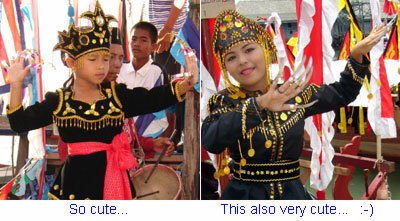 They like to use bright colours in their costumes, handicrafts and even boat (lepa). In this festival, they decorated their boats with colourful flags, trying to win the first place in Beautiful Lepa Contest. After you see my photo gallery, you will understand that why I was willing to “risk” myself sleeping on the street (coz all hotel room fully booked). It was a fruitful and rewarding trip. I took nearly 700 photos in 2 days. Don’t be shocked. Usually I take multiple pictures of the same object, with different angles, timing, distance, camera setting, etc. At the end, I would only like one (or none) of them. The Lepa boat has existed for several hundreds years. 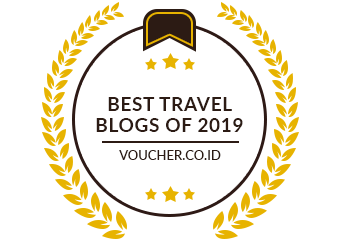 It was mainly used as a public transport in Semporna district, to transfer passengers and goods from island to island, village to village, between Borneo, Sulawesi and Suluk. Now we usually see lepa in wedding ceremony and special occassions such as National Day, celebrations and festival. There were more than 50 lepa, each represented a village, participated in this regatta. The colourful boat is not the only thing that makes this event so interesting. Every lepa got its own dancers and band. As early as 8 AM, they already played the gongs and drums, the dancers were wearing colourful traditional Bajau costumes and faked long fingernails, performed on the boats. Just imagine 50 boats made loud noise together. It was so grand and lasted until evening. You may check out my video clip (Format: Windows Media Video, Size: 7 MB, Length: 3:30 minutes) to get the idea. Needless to say, I was as excited as a kid, busy taking photos of the lepa and dancers. I particularly like seeing the little girls in their colourful costumes, so adorable and look like doll. I was there for whole day, so I knew they got two set of clothing, one for morning, one for afternoon. They were very cooperative. Everytime I just did a simple eye contact, they would smile and look at my camera. After the festival was over, the heat was still on. I saw a “Lepa Car” Competition in the stadium when I was on the way leaving the town. So funny… You may check out the photo gallery for more pictures.